Some of us will remember when double glazing windows were all the rage and viewed as a luxury purchase, which not everyone had the finances to fit in their home. Nowadays, double glazing comes in almost all new build homes. Very few youngsters would think that their parents or grandparents sat shivering as ice gathered on the interior of their windows in their house. But do we know how double glazing works? If you don’t understand much about the science behind double glazing, that’s ok. For most people the extent of their knowledge that double glazing has two panes of glass. No prizes for know that. But does having two panes of glass means your home is going to be twice as warm? Let’s check out fact #2. The majority of people are unaware of the number of distinct glass types that exist on the market and the range of jobs they’re capable of performing. Selecting a particular kind of glass, like tinted glass, can affect how well double glazing insulates a property. 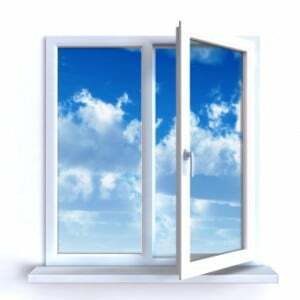 At the moment, the most popular tints are Low-E Glass (meaning “low emissivity”) and Low Iron Glass. Low Iron Glass does the opposite to a tint as it allows a short wave solar pass through. So by putting it on the outer pane of your window, heat is invited in. Argon gas is as important as the glass type. As a rule, the thicker the wall, the more atmosphere it stops. A lesser distance can continue to be effective depending on the glazing of the window, although a space of 20mm is perfect. Sounds good, right? You can have the best windows on the planet, however if there are any gaps within the window casing and the frame, warm air will ooze out of the house while letting the cold atmosphere pour in from outside. It’s important to understand that any gaps will act as a weakness and hinder the window’s general performance. If you would like to find out more about double glazing, call us now on 08000 502 502.